Also, Debussy: La Mer. 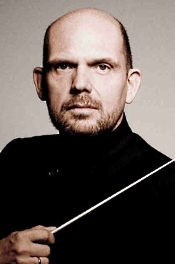 Jaap van Zweden, New York Philharmonic. Decca Gold B0029690-02. In 2018 Dutch conductor and violinist Jaap van Zweden (b. 1960) became the twenty-sixth Music Director of the prestigious New York Philharmonic, founded in 1842, one of America's oldest orchestras. Maestro van Zweden also leads the Hong Kong Philharmonic and guest conducts the Leipzig Gewandhaus Orchestra, Amsterdam's Royal Concertgebouw Orchestra, the Munich Philharmonic, and a host of others. He's a busy man, and this 2018 Sony release marks his second for Decca with the New York Phil. 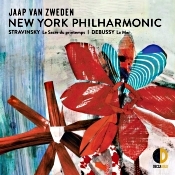 In van Zweden's first recording for Decca with the NYPO he conducted Beethoven's Fifth and Seventh Symphonies. Here he is doing Stravinsky's Le Sacre du printemps ("The Rite of Spring") and Debussy's La Mer ("The Sea"). He obviously wanted to start things off on the right foot by choosing to do some of the basic repertoire's most-popular, almost-can't-miss items. Still, with so much competition in this material, he's sure to run into some detractors. Anyway, as you know, Russian composer, pianist, and conductor Igor Stravinsky (1882-1971) caused quite a stir when he premiered his ballet The Rite of Spring in 1913. The ballet (and, to be fair, the choreography) so shocked Paris audiences that many of them booed and headed for the doors. By now, the world has pretty much begun to take the avant-garde nature of Stravinsky's music for granted, but it was groundbreaking in its day. The work's subtitle, "Pictures of Pagan Russia in Two Parts," pretty much says it all. The story involves various primitive rituals celebrating the approach of spring, after which a young girl is chosen as a sacrificial victim and dances herself to death. Grim and heady stuff, and certainly not the kind of music for the weak of heart, either on the part of the audience or the conductor. My own favorite recording of the piece remains Leonard Bernstein's, leading this very same orchestra in 1958. So van Zweden has some heavy lifting to keep up with the old master. However, it's not that van Zweden doesn't try. This is music that a conductor must take with a certain abandon, and van Zweden does that on occasion. Those occasions are few and far between, however, no matter how raucous the conductor makes them appear. For the most part van Zweden seems content merely to keep order. He takes a rather leisurely approach throughout most of the score, building a degree of appropriate atmosphere, to be, sure, and then letting loose in a few wildly loud sections. Although one can still feel the tensions and excitement in the music, as a whole it all seems a bit forced, even awkwardly so at times as transitions seem too abrupt and climaxes too hurried. The second selection on the disc is La Mer by French composer Claude Debussy (1862-1918). In what he called "Three symphonic sketches for orchestra," Debussy drew inspiration, he said, from art, "preferring the seascapes available in painting and literature" to an actual ocean. Whatever, he managed to convey some vivid impressions of the sea. The three movements are "From dawn to noon (or midday) on the sea," taken very slowly and animated little by little; "Play of the Waves," an animated allegro; and, perhaps most famously, "Dialogue of the wind and the sea" (or "Dialogue between wind and waves"), animated and tumultuous, easing up very slightly at the end. 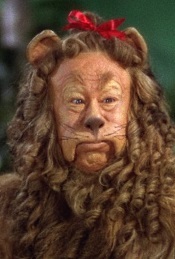 Personally, I liked van Zweden's handling of the Debussy piece a little more than I liked his work in the Stravinsky. Again, van Zweden is slower in all three movements than any of the conductors on my comparison discs (Stokowski, Karajan, Previn, Simon, Haitink, and Giulini), yet van Zweden's steady pace makes for a different kind of vividness that can at times be appealing. It's a calmer sea in a lot of ways than the one imagined by other conductors, yet it's one that remains filled with unexpected, if not always beautiful, magic. If anything, though, van Zweden's handling of Debussy is too static and commonplace to be of much competition for the aforementioned conductors and recordings. I'd say this van Zweden effort is more of a memento of the conductor's early days with the New York orchestra, a kind of postcard for the ensemble's many admirers. Producers Lawrence Rock and Mark Travis and engineer Lawrence Rock recorded the music at David Geffen Hall, Lincoln Center for the Performing Arts, New York City, in September and October 2018. Nowhere on the packaging or in the booklet notes does Decca explicitly tell us this is a live recording, but they do say "The concerts on October 4-6, 2018, were made possible by generous support from The Fan Fox and Leslie R. Samuels Foundation," implying that they may have recorded at least the Debussy live in concert. Maybe they assume that so many classical orchestral recordings are made live these days, they don't even have to mention it. Whatever, I'm going to assume they recorded both works live. Nevertheless, the business of "Is it live or isn't it?" may be a moot point as the sound is not quite vintage Decca to begin with. It's fairly bright and sharp-edged, slightly too close for comfort, and a bit glaring at times. In fact, I found a few of the bigger, louder sections rather uneasy on the ears. It's not entirely bad sound, mind you, and the percussion is impressive; but it's not as persuasive as the sound provided for Leonard Bernstein and the New York Philharmonic well over sixty years earlier. Go figure. American Bach Soloists' 30th season will conclude with the remaining four Brandenburg Concertos, Nos. 2, 4, 5, and 6, each one featuring the renowned Bach specialists of ABS. Friday, May 3, 2019 8:00 p.m.
Saturday, May 4, 2019 8:00 p.m.
Monday, May 6, 2019 7:00 p.m. The ABS annual Summer Festival & Academy,July 28 - August 11, is now expanded to include an additional weekend of performances, more free public events to bring you closer to the excitement that surrounds our annual Academy - now in its 10th year - along with stunning programs of absolutely sensational musical works, and ventures into new and imaginative territory. Of course, the focus on major works from the Baroque is still at the core of our Summer Festival, voted "Best of the Bay" by SFCV readers. All-time favorites including Vivaldi's Four Seasons and Bach's Mass in B Minor will be presented with Handel's Utrecht Te Deum & Jubilate and Terpsicore, Lotti's "Mass for Three Choirs", Pergolesi's Stabat Mater (in an important newly researched version), Geminiani's imaginative and picturesque Enchanted Forest, and endearing concertos about frogs and crickets by Telemann. Also new this summer: A "Coffee House Concert" featuring our amazing Academy musicians and "Bach Explorations" including "Bach to Bluegrass & Beyond" and "Bach Re-Imagined." All Summer Festival events are at the San Francisco Conservatory of Music, 50 Oak Street, San Francisco. Hailed as "among the most probing and serious" Indian classical dance festivals (DanceTabs), with "a record of attracting some truly godlike dancers" (The New York Times), the World Music Institute's annual "Dancing the Gods" festival returns for its eighth season. Audiences are offered spectacular shows, onstage slide lectures with storytelling, and chat & chai artist receptions. 7:00 p.m. Lec-Dem by Rajika Puri: "What make an Indian dancer great?" 6:00 p.m. Lec-Dem by Rajika Puri: "What make an Indian dancer great?" Princeton University Concerts concludes its 125th anniversary season with fan favorites, the Ébène String Quartet ("Quatuor Ébène"), on Thursday, May 2, 2019 at 8PM in Richardson Auditorium, Alexander Hall, Princeton, NJ. The ensemble--now with new violist Marie Chilemme as the first female member in the quartet's history--will perform quartets by Beethoven and Fauré. At 7 p.m., ticketholders are invited for an announcement and presentation of this year's winner(s) of PUC's annual Creative Reactions Contest, a writing and visual arts contest that asks Princeton University students to respond to themes on this year's series. Tickets are $10-$55, available by phone at 609-258-9220, in person two hours prior to the concert at the Richardson Auditorium Box Office, or online at princetonuniversityconcerts.org. Four-time Grammy Award winners Eighth Blackbird, moving music forward with innovative chamber music performance, showcases its six ensemble members with DISSOLVE, an evening featuring the musicians performing in smaller subsets that highlight their playful, intimate, and spirited versatility. DISSOLVE takes place Friday and Saturday, May 17 and 18 at 8 p.m. at Steppenwolf's 1700 Theatre, 1700 N. Halsted Street, Chicago, IL. Tickets are $35 general admission, $15 for students, available through Steppenwolf at 312-335-1650 or steppenwolf.org/lookout. New Century Chamber Orchestra's upcoming performances "American Masters" are May 9 through 12, featuring debut appearances by the Marcus Roberts Trio. Four performances will be given around the San Francisco Bay Area in Berkeley, Palo Alto, San Francisco and San Rafael. Showcasing a variety of masterworks by American composers, New Century will share the stage with the trio in a selection of songs by George Gershwin arranged for Violin, Jazz Trio and Orchestra by Paul Bateman. Two additional Bateman arrangements are also featured including selections from Leonard Bernstein's West Side Story and Aaron Copland's Old American Folk Songs, with Samuel Barber's Adagio for Strings completing the program. IDAGIO, the leading streaming service for classical music, is enhancing its app experience for iOS users. In addition to English and German, the app will now be available to classical music enthusiasts in French and Spanish. Mobile devices are the main source of music consumption at IDAGIO with over 80 percent of playback coming from iOS devices. The localisation of the app with additional languages is an essential step in improving the user experience for IDAGIO subscribers. "Classical music acts as a universal language for connecting people all over the world" says Christoph Lange, co-founder and Chief Product Officer of IDAGIO, "By adding more languages to the IDAGIO apps, we make it convenient for French and Spanish speaking listeners to experience the world of classical music and be part of IDAGIO's growing global community." IDAGIO is the leading streaming service for classical music. Crafted in Berlin by a world-class team of over 80 passionate experts in music, technology, business and design, IDAGIO offers a search tailor-made for classical music, a catalogue of over 2 million licensed tracks, and exclusive recordings and playlists – all available in CD-quality sound (FLAC). Each artist, orchestra and ensemble has a clear profile displaying albums and recorded works including filters like composer, conductor, soloists and more. IDAGIO has subscribers in over 180 countries and the app has been downloaded more than one million times worldwide. The La Jolla Music Society, which celebrates its 50th anniversary season this year, has announced the complete programming for its 34th SummerFest under the new musical direction of globally-renowned pianist Inon Barnatan. With its enormously varied concert offerings ranging from interdisciplinary collaborations to chamber arrangements of the orchestral canon and newly commissioned works to French Baroque, the La Jolla Music Society SummerFest carries on its tradition of world-class concert offerings, uniting a stellar roster of resident soloists, composers, ensembles, and artistic fellows in the San Diego area for the month of August. The scope of each concert at La Jolla Music Society SummerFest 2019 encompasses meticulously designed programming, drawing from a vast range of centuries, artistic styles, and thematic ideas. This season examines the idea of transformation and the complexity of its various meanings. Delving into the multitude of settings in which artistic transformation occurs, Barnatan's programming explores this common thread through a variety of practical, historical, artistic, musical, and conceptual relationships. Subscriptions will be available beginning Friday, April 19, 2019 at 10:00 AM. Single tickets will be available beginning Monday, June 3, 2019 at 10:00 AM. Leif Ove Andsnes became the Mahler Chamber Orchestra's first Artistic Partner during the Beethoven Journey, a four-year project (2012 – 2015) which took the artists across the globe for over 70 live performances and resulted in award-winning recordings of the complete Beethoven piano concertos on Sony Classical. This spring they reunite for a second Artistic Partnership which sees the launch of a new four year project (2019 – 2022), Mozart Momentum 1785/1786, dedicated to the music of Mozart. With Mozart Momentum 1785/1786, the Mahler Chamber Orchestra and Leif Ove Andsnes embark on an exploration of two especially remarkable years in the history of classical music. In 1785 and 1786, Mozart wrote a series of masterpieces reinventing the nature of the piano concerto. In this period, he began to re-examine the roles of the soloist and orchestra, thus developing aspects of communication and dialogue between the two entities in a way that had not been done before. The University Musical Society (UMS, University of Michigan) announces its 141st season, which runs from September 2019 through April 2020. One of the most acclaimed and innovative performing art presenters in the nation and a 2014 recipient of the National Medal of Arts, UMS will continue to showcase time-honored ensembles and artists alongside a diverse lineup of young performers who push the boundaries of their art forms in new directions. In addition to presenting world-class performances, UMS is also committed to creating unique and engaging ways for audiences to connect with the artists on stage through a robust offering of education and community engagement activities. "UMS's 2019-20 season was conceived with an eye toward both the familiar and the disruptive, the traditional and the uncommon, and the emotional and the provocative--sometimes even within a single work or performance," says UMS president Matthew VanBesien. "We're thrilled to present another dynamic lineup of experiences that honors our 141-year history of presenting classic works while also taking risks that surprise audiences in new and innovative ways." Cellist Yo-Yo Ma returns to UMS in the 2019-20 season after collaborating with the organization to host a Day of Action in Flint this past February. This time, he comes to Hill Auditorium for a trio performance with pianist Emanuel Ax and violinist Leonidas Kavakos on Tuesday, March 3 at 7:30 pm. The all-star ensemble will perform a program of Beethoven piano trios. This special concert is not included on a UMS subscription series, but is available to 2019-20 subscribers for purchase as an add-on throughout the subscription period. Individual tickets for this performance will go on sale to the general public on Wednesday, August 7. Tickets to individual events will go on sale to the general public online, in person, and by phone on Wednesday, August 7; UMS donors of $250+ may purchase beginning Wednesday, July 24. Groups of 10 or more may reserve tickets beginning Monday, July 15. To be added to the mailing list, please contact the UMS Ticket Office at 734.764.2538 or visit ums.org. UMS also has an e-mail list that provides up-to-date information about all UMS events; sign-up information is available on the Web site. For complete information, visit ums.org. 2018 marked the 70th year of the high fidelity sound era. Initial public recognition swelled in early 1940 with release of the movie Fantasia, but it waned with the approach of WW II. Later, in 1946, returning veterans--notably Major Jack Mullin--brought news of the amazing German Magnetophon tape recorders. 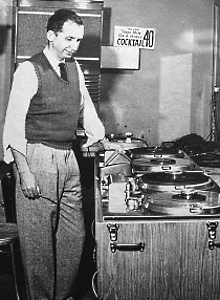 When radio celebrity Bing Crosby berated his broadcasters to upgrade their recording capability, fledgling six man Ampex Corporation answered. Then, in 1948, Columbia released the first “long play” 33.3 rpm vinyl records, and the drive to bring “hi-fi” to the home went full bore. From that start and well into the mid-1970s, hi-fi progress was propelled by avid “seat-of-the-pants” enthusiasts who scrupulously applied Ohm’s law logic and test-and-measure diligence. Local audio clubs bubbled with chatter about circuit design. Technical paper presentations were well attended. Kit building and home-rolled DIY projects were popular. And science-based magazines like Audio, High Fidelity, Stereo Review, Popular Electronics, Radio-Electronics, and Electronics World all flourished. As the consumer base spread, a new breed of subjectivist reviewer gained recognition, nurtured by Stereophile and The Absolute Sound. Many of these contributors were technical neophytes, but so were their readers. The traditional need for qualified rigor withered. Science was out, ears were in, and personal perception became the arbiter of what’s good/what’s not. The feedback that has followed has been both bewildering and discordant. There are bizarre tales of $300 replacement AC line cords that instantly improve the sound from a power amplifier, and $500 speaker cables (+ $200 connector cords) that accomplish equivalent aural wonders. How can such folly ever be reconciled with good engineering practice? Is there some plausible explanation? Is this the sort of error-in-judgment that can stem from confirmation bias (https://en.wikipedia.org/wiki/Confirmation_bias)? Or could this be a consequence of too much audiophile groupthink (https://en.wikipedia.org/wiki/Groupthink)? Aside from grossly over-compressed pop-market CDs, I’ve often wondered how any listener could possibly contend that vinyl playback was preferable to standard redbook CD sound. The audible superiority of the digital CD disc is overwhelming when compared to the archaic capability of an analog LP record. How can such obvious advantage not be instantly apparent? Well, now I know. Just viewing that massive turntable and exotic tonearm/cartridge can implant the aural memory of sounds that were never really heard. A new and convincing (and artificial) reality can emerge. It’s important to keep this visual dominance in mind when evaluating new equipment. Apply careful technical analysis—assess both intent and execution—and then conduct your audition. But know that the audible evidence is likely to be of little merit; it will get swamped by what you’ve seen. 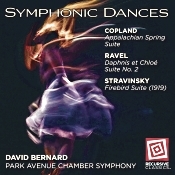 Music of Copland, Ravel, and Stravinsky. 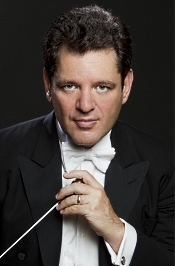 David Bernard, Park Avenue Chamber Symphony. Recursive Classics RC2061415. The first time I saw this album title, "Symphonic Dances," I thought immediately of Rachmaninov's Symphonic Dances, but it was not to be. These are ballet suites performed by a symphonic chamber orchestra: Copland's Appalachian Spring, Ravel's Daphnis et Chloe, and Stravinsky's Firebird. Good enough, especially when they're played by Maestro David Bernard and his Park Avenue Chamber Symphony. As you may remember, the Park Avenue Chamber Symphony, formed in 1999, includes mainly players who do other things for a living (like being hedge-fund managers, philanthropists, CEO's, movie magnates, UN officials, and so on). They're not exactly amateurs, but they're not full-time, paid musicians, either. Fortunately, their playing dispels any doubts about the quality of their work; everyone involved with the orchestra deserves praise. Nor is the Park Avenue Chamber Symphony a particularly small group; it just isn't quite the size of a full symphony orchestra. The main thing is they play very, very well. First up on their program is the suite from Appalachian Spring by American composer, writer, teacher, and conductor Aaron Copland (1900-1990). He premiered his ballet in 1944, and the following year it won a Pulitzer Prize in Music. The Suite is in eight parts, telling the story of American pioneers of the 1800s celebrating after building a new Pennsylvania farmhouse. Among the central characters are a bride, a groom, a pioneer woman, a preacher, and his congregation. As always, the Park Avenue players are well up the task, performing like the best purely professional orchestras. They always seem to demonstrate a stylish precision. Moreover, Maestro Bernard leads with a deft hand. He's sensitive when necessary, as in the beginning of the Copland piece and in interludes throughout, and he knows how to handle the biggest climaxes and most energetic themes. When "Simple Gifts" arrives, we expect it to be something special, and it is. Bernard and his team avoid sentimentality and play it with joy and love. Second up is the Suite No. 2 from Daphnis et Chloe, premiered in 1912 by French composer, pianist, and conductor Maurice Ravel (1875-1937). Ravel described it as a "symphonie chorégraphique" (a choreographic symphony). He based the music on Greek myth, although one really doesn't have to follow the story line to appreciate Ravel's profusely impressionist music. Bernard ensures that Ravel's score exudes the proper fairy-tale magic and mysticism it deserves. The textures are always lush and luminous, the story unfolding at a steady but not insistent pace. When the excitement develops, it, too, is properly judged--not too indulgent, not too overdone, yet with conviction and sprightly animation. The final item on the program is The Firebird Suite by the Russian-born composer, pianist, and conductor Igor Stravinsky (1882-1971). The Firebird was the first (1910) of three acclaimed ballets Stravinsky produced in an astonishingly short time, with Petrushka (1911) and The Rite of Spring (1913) following closely He based The Firebird on various Russian folk tales he'd read concerning a magical bird that could either help or harm those who captured him. The story itself is an adventure involving a young prince, a group of lovely young maidens, an inevitable love interest, an argument, and the conflict we would expect, with a final resolution courtesy of the bird. It's all very exotic, colorful, warmhearted, and exciting. Maestro Bernard and the Park Avenue Chamber Orchestra do Stravinsky justice. This is music that, as the booklet observes, should "take the listener by storm." Under Bernard's direction, it does. Yet, again, it isn't a totally bombastic storm. It's a gentle storm when necessary, an alternation of calm and turbulence. It comes out one of the most satisfying Firebird Suites I've heard, and makes me wish Bernard had done (or will do) the complete score. My only gripe is really a mere quibble: Although Recursive Classics provide plenty of tracks, one for each movement of each work, they don't provide actual track numbers anywhere, nor do they provide timings for each selection. It's a curious oversight. Audio engineers Joseph Patrych, Antonio Oliart, and Joel Watts recorded the music at DiMenna Center for Classical Music, New York City in January 2017 and Good Shepard-Faith Presbyterian Church, NYC in February 2018. The sound is clear and clean, with a nice ambient bloom. It's also quite dynamic, with strong impact, which further adds to the realism (just listen to that "Danse Infernale"). The tonal balance seems ideal as well, with good bass and treble extension, and there's a fair sense of depth and space to the soundstage. Nothing to complain about here. Friday, April 19 at 7:30PM in Richardson Auditorium, Alexander Hall, Princeton Univeristy, NJ. 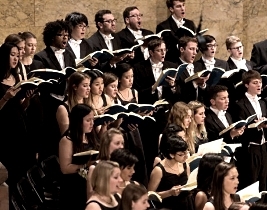 On Friday, April 19, 2019 at 7:30PM in Richardson Auditorium, Alexander Hall, the Princeton University Glee Club presents their annual Walter L. Nollner memorial concert, joining internationally renowned early music specialists -- The English Concert baroque orchestra and renowned tenor James Taylor as the Evangelist -- to bring Bach's beloved oratorio to life. Taylor recently made his New York Philharmonic debut in this role with conductor Kurt Masur, bringing a "sweet, light yet penetrating voice to the role of the Evangelist" (The New York Times). Glee Club Director Gabriel Crouch conducts. Tickets are only $15 general/$5 students, available at music.princeton.edu, 609-258-9220, and at the Princeton University campus box offices. New York Festival of Song's co-founder, pianist and host Steven Blier, whose knowledge and passion for Spanish music is well known, has assembled a program that paints a fascinating portrait of the great Spanish poet Federico Garcia Lorca through songs by an international roster of composers. Blier divides the program into six sections: Lorca in Andalucía, with three folk songs arranged by the writer himself, who studied music in his youth; Children's Songs, with works by Mompou, Montsalvage, and Abril; Manuel de Falla, an early mentor for Lorca; Coming out, with songs by Bañuelas and Ohana; The spirit of 'cante jondo' ("deep song" in Andalusian Spanish), the most serious and deeply moving variety of flamenco; and Across the Atlantic, which features songs by Americans who set Lorca's poetry, including Paul Bowles, Billy Strayhorn, Leonard Cohen, and Cuban songwriter Ana Belén. The brilliant American soprano Corinne Winters and Mexican-American baritone Efraín Solís are the featured soloists. $20-$62 from the Merkin Box Office, 212-501-3330, or kaufmanmusiccenter.org. Music lovers can hear legendary music performed at 30 different events in 19 scenic venues all over picturesque San Luis Obispo County during Festival Mozaic's 49th Summer Music Festival season. This summer, July 24-August 4, 2019, violinist and Festival Mozaic music director Scott Yoo will lead more than 50 talented musicians. These brilliant artists are gathered from top orchestras and chamber ensembles all over the United States and abroad. "I'm so excited to be presenting this music in festive and intimate performances in beautiful venues throughout SLO County," says Yoo. Individual tickets are on sale April 8th. Tickets may be ordered by calling (805) 781-3009 / (877) 881-8899 or online at www.FestivalMozaic.com. The sensual rhythms of South America and harmonies of 1920s Paris take the stage along with the ruggedly stunning desert of southeast Utah and the world-class artists of the Moab Music Festival (MMF). Music in concert with the landscapeTM comes to life from August 26 - September 12, 2019 when patrons will experience performances set in a variety of spectacular outdoor venues along the Colorado River, in the charming and historic Star Hall, local ranches, on musical hikes, rafting adventures, and in intimate gatherings and salons, all surrounded by the majestic sky, the Colorado River, and blazing red rock cliffs - the quintessential backdrop for the musical ride of a lifetime. Performances celebrate the wildly diverse and unifying spirit of music-making found all over the globe and throughout history with a dazzling inaugural Cabaret evening, South American inspired programs, explorations of the "taboo" musical compositions that transformed Paris in the early 20th century, and a poignant look at war through the eyes and ears of Stravinsky. For complete information about the Festival or to purchase tickets for the 27th Annual Moab Music Festival, you may also visit the Festival Office at 58 East 300 South, Moab, UT 84532; or telephone the Box Office at (435) 259-7003; or visit the Web site at http://www.moabmusicfest.org. Welcome to the 2019 Season of The Montreal Chamber Music Festival, June 7-16, where our theme for the next three seasons is Beethoven Chez Nous. A special opening night event with the phenomenal Gregory Charles. Beethoven's complete violin sonatas featuring 2019 Grammy winner James Ehnes. Beethoven's complete symphonies transcribed for solo piano by Franz Liszt. Five free noon-hour concerts: BMO Hottest Classical Artists Under 30! Two evening oncerts featuring Metropolitan Opera Star Joseph Kaiser, the Danel Quartet, and more. The celebration of the 30th anniversary of the Los Angeles Master Chorale's Annual High School Choir Festival will be so joyous, it cannot be contained within the walls of Walt Disney Concert Hall! As part of the celebratory Festival Day on Friday, May 3, over 1,000 student singers will give a pop-up performance outdoors on the main staircase of Disney Hall on Grand Avenue, Los Angeles, CA at 11:30 AM. Internationally renowned choral conductor and composer Eric Whitacre, who is the 2019 Festival's guest artist, will lead the students in a performance of Pentatonix's Sing, arranged for the Master Chorale by Ben Bram and Pentatonix. The main event on Festival Day is the Festival concert performed by the students at 1 PM conducted by Grant Gershon, the Master Chorale's Kiki & David Gindler Artistic Director, and Whitacre, the Master Chorale's Swan Family Artist-in-Residence. The program for this year's concert includes Handel's Hallelujah Chorus, works by contemporary choral composers Abbie Betinis, Sydney Guillaume, and Rosephanye Powell, and the 17th century hymn Hanacpachap cussicuinin by Juan Pérez Bocanegra. In addition to the pop-up performance of Sing, Whitacre will conduct performances of his own compositions, "Cloudburst" and "Fly to Paradise." The Festival concert grand finale will be a performance of "Lean On Me" by Bill Withers. Open to the public; free entry. Limited advance ticket reservations available at lamasterchorale.org starting April 8. The New York Opera Alliance (NYOA) will launch their fourth annual New York Opera Fest at a Kickoff Party on Monday, April 29th with a performance and celebration at Marc A. Scorca Hall in the National Opera Center, 330 Seventh Ave at 29th St., NYC. The kickoff will feature performances by the little OPERA theatre of ny, Hunter Opera Theater, City Lyric Opera, Divaria Productions, Regina Opera Company, Rhymes With Opera, and Vertical Players Repertory. The event will honor Ira Siff for his indelible impact as a performer, commentator, director, teacher, and artistic director of La Gran Scena. Conceived and launched in 1981, La Gran Scena featured Ira Siff assuming the identity of Mme. Vera Galupe-Borszkh, prima donna of La Gran Scena Opera Company. Through its acclaimed combination of affectionate, knowledgeable spoof and musical excellence, La Gran Scena broadened the ways in which opera is perceived, making it closely aligned with the goal of the New York Opera Alliance to showcase the breadth and diversity of opera. From the filmmaking team behind the highly-acclaimed documentary The Beatles: Eight Days A Week - The Touring Years, Pavarotti is a riveting film that lifts the curtain on the icon who brought opera to the people. Academy Award winning director Ron Howard puts audiences front row center for an exploration of The Voice...The Man...The Legend. Luciano Pavarotti gave his life to the music and a voice to the world. This cinematic event features history-making performances and intimate interviews, including never-before-seen footage and cutting-edge Dolby Atmos technology. CBS Films will release Pavarotti in select theaters June 7, 2019. IDAGIO, the leading streaming service for classical music, is partnering with Outhere Music, making all of the recording group's back catalogue and new releases available to classical music fans globally. The agreement, which encompasses recordings from renowned labels such as Alpha, Phi, Aeon and Ricercar, is the latest addition to the offering of the classical music specialist streaming service. As an additional aspect of the partnership, IDAGIO will feature exclusive playlists curated by Outhere Music and its artists, and will work closely with the recording group on additional initiatives such as video productions to provide the most engaging classical listening experience possible for IDAGIO subscribers. IDAGIO has licensing agreements with over 1,000 labels and rights holders, making more than 2 million tracks available to its global subscriber base. Since its 2014 Brooklyn premiere by American Opera Projects, As One has become the most performed opera in the U.S. and Canada written in the 21st century. American Opera Projects and New York City Opera, and Kaufman Music Center are proud to bring As One back to New York in a new production with that joins the citywide celebrations that mark the 50th Anniversary of the Stonewall uprising and a half-century of LGBTQ+ liberation. In As One, two voices share the role of the sole transgender protagonist, Hannah, in this moving and often funny story that follows her journey to self truth. With empathy and humor, As One traces Hannah's experiences from her youth in a small town to her college years on the West Coast, and finally to Norway where she is surprised at what she learns about herself. Young maestro Mirga Gražinyte-Tyla makes history as she signs to Deutsche Grammophon – home to legendary conductors such as Herbert von Karajan, Leonard Bernstein, Claudio Abbado, Karl Böhm, Pierre Boulez and Carlos Kleiber. The Lithuanian musician, who is the Music Director of the City of Birmingham Symphony Orchestra, becomes the first female conductor to sign an exclusive long-term contract with the label. Gražinyte-Tyla will release her debut album on May 3--a collection of orchestral works by Polish composer Mieczyslaw Weinberg, whose centenary falls this year. She conducts the combined forces of the CBSO, Kremerata Baltica and violinist Gidon Kremer in Symphony No. 21 "Kaddish" – a major work completed in 1991 and dedicated to the victims of the Warsaw Ghetto. She also directs Kremerata Baltica in the early Symphony No. 2. Gražinyte-Tyla will go on to present music by her compatriot Raminta Šerkšnyte with the Lithuanian National Symphony Orchestra, Vilnius Municipal Choir and Kremerata Baltica, a project she will follow up with an album of works by British composers with the CBSO as the orchestra celebrates its centenary. Salon/Sanctuary Concerts presents selections from I Sacri Musicali Affetti (Opus 5, 1655 Venice) by Barbara Strozzi in honor of the 400th anniversay of her birth. Announcing his third season as Chief Conductor of the Basque National Orchestra, fast-rising American maestro Robert Trevino revealed a fascinating, multi-year initiative inspired by a great historical event - and with a twist. The three-year Elkano Project will start with a concert where the audience will be almost entirely in the dark about what it is they are about to hear. Why? Five hundred years ago, the Basque explorer Juan Sebastián Elkano set off on a three-year voyage that would see him lead the first expedition to circumnavigate the globe (on his return, Charles I of Spain presented him with a coat of arms featuring a globe, on which was written "Primus circumdedisti me" - 'you were the first to go around me'). Marking this momentous voyage, Robert Trevino leads his orchestra on its own epic (if less dangerous!) journey. Naumburg Orchestral Concerts, the longest-running series of its type in the world, announces its 114th season of free summer concerts, running from June 18 to August 6, 2019. This season's concerts will take place indoors at Temple Emanu-El as the iconic Naumburg Bandshell in Central Park, NYC, undergoes necessary repairs. Summer 2019's slate of chamber orchestras includes the return of New York-based ensembles The Knights, Orchestra of St. Luke's and Orpheus Chamber Orchestra, as well as Boston-based A Far Cry. Making its series debut is the Venice Baroque Orchestra, which gives frequent modern-day premieres of forgotten masterpieces from the past on period instruments. Find full program information for all five ensembles below. "As the Naumburg Orchestral Concerts enters its 114th season, we are especially grateful for this new partnership with Temple Emanu-El," said Christopher London, President of the Board of Naumburg Orchestral Concerts. "They have helped us ensure that there will be no disruption to our series of free concerts of top-tier classical ensembles while the Naumburg Bandshell undergoes renovation. We hope that our longstanding audience members, as well as new attendees, will enthusiastically embrace this new location and its stellar acoustics for the summer of 2019." All concerts will take place at 7 PM at Temple Emanu-El's Streicker Center (Fifth Avenue at 65th Street, New York, NY 10065). Tickets are free but reservations are required. Call 212-501-7809 for more information or visit naumburgconcerts.org. Music Director Daniel Hope and New Century Chamber Orchestra conclude the 2018-2019 season with a debut appearance by jazz legends the Marcus Roberts Trio, May 9-12. Showcasing a variety of masterworks by American composers, New Century will share the stage with the trio in a selection of songs by George Gershwin arranged for violin, jazz trio, and orchestra by Paul Bateman. Two additional Bateman arrangements are also featured, including selections from Leonard Bernstein's West Side Story and Aaron Copland's Old American Folks Songs, with Samuel Barber's Adagio for Strings completing the program. This program will be presented as part of New Century's subscription series on four evenings in different locations around the Bay Area: Thursday, May 9 at 7:30 p.m., First Congregational Church, Berkeley, CA; Friday, May 10 at 7:30 p.m., First United Methodist Church, Palo Alto, CA; Saturday, May 11 at 7:30 p.m., San Francisco Conservatory of Music; and Sunday, May 12 at 3 p.m., Osher Marin JCC, San Rafael, CA. New Century offers an Open Rehearsal Wednesday, May 8 at 10 a.m., Trinity St. Peter's Church, San Francisco with free admission. Single tickets range in price from $29 to $61 and can be purchased through City Box Office: http://www.cityboxoffice.com and (415) 392-4400. Discounted $15 single tickets are available for patrons under 35 and $10 single tickets for Students with a valid ID. Also, Sinfonietta. David Lloyd-Jones, Bournemouth Symphony Orchestra. Naxos 8.555837. Anyone who has bothered to take a look at my photo (which was taken a few years back, by the way) has no doubt surmised that I am not a fellow still in the bloom of youth. When it comes to recordings, I sometimes find myself searching my memory to try to recall whether I have once owned this or that symphony or whatever--and yes, I have occasionally brought home an interesting-looking CD only to discover that I already had a copy of it gathering dust on a shelf or in some pile stacked up somewhere in my terminally messy listening room. In the case of this Naxos recording of the Moeran Symphony in G minor, however, I knew for certain that I did not have a duplicate CD tucked away somewhere. What I remembered was that way back in the day (late 70s/early 80s, when I was in grad school) I once owned an LP version of the Moeran Symphony in G minor and that I had liked it. I believe the record label was Lyrita, although I probably had a Musical Heritage Society version (plain white covers – remember those?) rather than the original Lyrita--I just cannot remember after all this time. 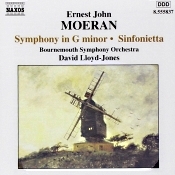 I do recall that the disc-mate was the same as on this Naxos release, Moeran's Sinfonietta, which means I must have had the version recorded by Sir Adrian Boult. Over the intervening years, I had never picked up a CD version of the Moeran, but for whatever reason, one day a short while back I suddenly found myself remembering that I had enjoyed the work and deciding to look into picking it up on CD. Further disclosure: I could not even really remember what I had liked about the symphony. I recalled that it was British, that it was pleasant, and that I had not heard it in ages. I seemed to recall that it was rather slow, quiet, dreamy music, and that I had also enjoyed the Sinfonietta, although I could not recall anything about it. When I logged into Amazon and found a used copy of this Lloyd-Jones CD recording available for $0.86, I of course immediately placed my order. My first surprise was that the Symphony in G minor is neither really slow, nor quiet, nor what I would describe as dreamy. No, it is an energetic work, pulsing with tuneful phrases and insistent rhythms. The opening movement is lively and playful, outgoing, yet reflective. Moeran was interested in folk tunes, and you can sense that as you listen to this lively Allegro. The second movement, marked Lento, is more brooding, although "brooding" may be a misleading term. This is not Shostakovich-like anguish, it is more like the brooding sighs of someone who is weary after a long hike in nature, someone reflecting on the beauty he or she has seen, but also recalling the evidences of death and decay found along the way. The third movement, marked Vivace, seems to have been influenced by the music of Sibelius--not that there is anything wrong with that. It is lively, spirited--but there are still moments of reflection and wonder. The final movement, marked Lento – Allegro Molto, begins in reflection but gather steam as it moves along, finally ending with assertive chords that bring back memories of the ending of the Sibelius Fifth without sounding plagiaristic. I humbly admit my brief sketch of this work is not very illuminating, but I must say that if you are a fan of the symphonies of Vaughan Williams, then you will probably really enjoy this symphony by Moeran. It is a gem. The Sinfonietta is also well worth a listen. Playful and exuberant, it is arranged rather unusually: a theme and six variations are sandwiched between an opening Allegro con brio and a closing Allegro risoluto. Once again, the music is by turns playful and introspective, but always colorful and tuneful. The recorded sound captured by the eminently reliable engineer Mike Hatch is well-balanced and enjoyable. There is no sense of this being a sonic spectacular, just a well-recorded session of some truly enjoyable orchestral music. Also, Trois tableaux symphoniques d-apres La foi; Bacchanale from Samson et Dalila. 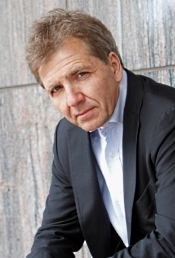 Thierry Fischer, Utah Symphony. Hyperion CDA68201. This disc looked pretty promising when it arrived for review. 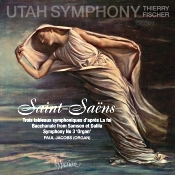 The "Organ" Symphony is always a crowd pleaser; in my experience Hyperion produces good-sounding recordings; and I had heard good things about Swiss conductor Thierry Fischer's previous work with Saint-Saens. So it was a little disappointing that I wasn't entirely knocked out by Hyperion's live sound or by Maestro Fischer's somewhat reserved reading of so flamboyant a score. Let's get to the main subject first, the Symphony No. 3 in C-minor, Op. 78, written in 1886 by French composer, organist, pianist, and conductor Charles-Camille Saint-Saëns (1835-1921). It's no doubt the most-popular thing Saint-Saens ever wrote and to this day remains one of the most popular pieces of classical music of any kind. Saint-Saëns called the work "a symphony with organ," and remarked, "I gave everything to it I was able to give. What I have here accomplished, I will never achieve again." Apparently he knew what he was talking about because even though he lived another thirty-five years, he never wrote another symphony, organ or otherwise. The composer divides the work into two major parts, with two divisions in each part. It's an odd arrangement but essentially works out to a conventional four-movement symphony. The first movement has always seemed to me the least distinguished, the least characterful, but Maestro Fischer and the Utah Symphony do their best to make it seem as purposeful as possible. Nevertheless, it still comes off a bit mundane compared to the rest of the work. For his part, Fischer increases the tempo and dynamic contrasts as he goes along and builds a decent head of steam by the end of it. The second movement Adagio always reminds me of great, warm, soft waves flowing over and around one's body on a sunny, tropical beach. Here's where the organ (Paul Jacobs, organist) makes its first entry, coming in with what are usually huge, gentle, undulating washes of sound. Fischer makes it warm and gentle enough, to be sure, he's a most-sensitive conductor, but I didn't think the organ carried the weight it could have to make much of an impression. Plus, Fischer's relaxed pace may be too slow for a lot of listeners. It's one thing to be sensitive and another to be lax. The two movements that comprise the finale should be fiery and exhilarating, if not a little bombastic, with the organ blazing the trail. Here, Fischer comes to life, yet without exaggerating the music. Those folks who think Saint-Saens overdid himself in the final passages may appreciate Fischer's calmer demeanor in taming and refining the score. Then, too, the organ finally makes its presence known (what with its going into hiding in the recording's second movement). That being said, I wasn't exactly thrilled or inspired by Fischer's performance as I have been by conductors like Louis Fremaux, Charles Munch, or Jean Martinon. Fischer is a little too overly refined, too sedate, too serious for my taste. Accompanying the symphony are a couple of other items by Saint-Saens, and they actually precede the main course. They are Trois tableaux symphonique d'apres La foi ("Three symphonic scenes from The Faith") and the Bacchanale from the Samson et Dalila. The first of these, the "Scenes," the composer took from his incidental music to the play The Faith, although one should not take them as literally describing any specific action from the play. Whatever, I enjoyed these "Scenes" best of all on the program because Fischer's natural sensitivity seems perfectly suited to their content, and I also admired the exotic color Fischer effected in the Bacchanale. Producer and engineer Tim Handley recorded the music live at Abravanel Hall, Salt Lake City, Utah in December 2017. The audience is either unusually silent or the engineer carefully removed all evidence of audience noise, including applause, so the sound doesn't suffer much from people's presence. There is, however, a degree of smooth roundness to the sound that may have something to do with noise reduction; I don't know. Audio levels are on the low side, perhaps to accommodate the wide dynamics. Still, the actual dynamic impact seems a tad muted except in the Bacchanale. Depth perception is good; detailing is fine without being harsh or steely; orchestral hall bloom is moderate at best; and bass, while slightly limited, is at least adequate. The whole thing, though, appears more than a bit soft and veiled, again maybe to reduce the effects of the audience's presence. Princeton University Concerts will pay tribute to its long history of presenting many of the world's greatest orchestras during the series' 125th anniversary series: on Thursday, April 11, 2019 at 8PM, the Australian Chamber Orchestra will perform at Richardson Auditorium (Alexander Hall), Princeton University, NJ, directed by Richard Tognetti and joined by PUC veteran pianist Paul Lewis. The visceral, explosive energy the 18-player orchestra generates as an ensemble pushes the boundaries of chamber music, especially in as diverse a program as a brand-new Concerto Grosso by American composer Samuel Adams paired with Mozart's evergreen "Elvira Madigan" Piano Concerto No. 21 in C Major, K. 467 as well as an arrangement of Brahms's String Sextet in G Major, Op. 36. At 7PM, Princeton University Concerts Director Marna Seltzer will announce the series' exciting 2019-20 season in a pre-concert event free to all concert ticket-holders. 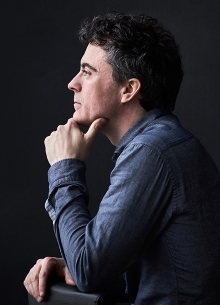 Paul Lewis will also present the final Live Music Meditation of the 2018-19 season at 12:30PM on April 11, guided by Princeton University Associate Dean of Religious Life Matthew Weiner, in Richardson Auditorium, Alexander Hall. This is a FREE and unticketed opportunity to experience world-class music on an incredibly personal and visceral level while meditating to live music performed by the pianist. 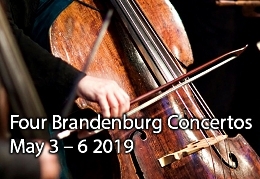 Concert tickets are $10-$55, available online at princetonuniversityconcerts.org, by phone at 609-258-9220, or in person two hours prior to the concert at the Richardson Auditorium Box Office. On March 6th, Touro University had a talent night, and all the proceeds were to the benefit of our Foundation. It was a fun night; we had the opportunity to enjoy the talent of many university students and at the same, time they enjoyed the talent of our Mariachi Estrellas de FAYM. They were selected to close the event, and to our happiness, our kids received a standing ovation. It was a success! Thank you Touro University for the invite and for selecting our Foundation. Recently we had our Spring Recital. We enjoyed the talent of our students and saw how proud they felt with the progress they made. We had the pleasure to present to Mr. Hal Weller a certificate from the District Representative for Nevada State Dina Titus as acknowledgment for all the work he has done in benefit of the kids through the years. We also recognized Mrs. Mayra Aguirre for 6 years of dedication and support to our foundation. Lastly, but no less important, we want to recognize the parents who supported and helped us to make this recital a very successful event. What is AmazonSmile? AmazonSmile is a simple and automatic way for you to support your favorite charitable organization every time you shop, at no cost to you. When you shop at smile.amazon.com, you'll find the exact same low prices, vast selection and convenient shopping experience at Amazon.com, with the added bonus that Amazon will donate a portion of the purchase price to your favorite charitable organization. You can choose from over one million organizations to support. All your Amazon.com benefits are now here. Find out more at AmazonSmile.com, and select FAYM. Please join The Family of FAYM today. Dvorák: String Quartet No. 12 in F major, op. 96, "American"
Alessandro Stradella's 1681 story of sexual harassment and the perversion of justice is now cast for the first time with a female narrator and resonates more strongly--and disturbingly--than ever. Based on the story of Susanna and the Elders in the Book of Daniel, it is reimagined as a timely and startlingly powerful opera for 2019. Music Institute of Chicago piano faculty Abraham Stokman performs a recital Wednesday, May 8 at 7:30 p.m. at Nichols Concert Hall, 1490 Chicago Ave., Evanston, Illinois. The performance is a fundraiser for Sheep Dog Impact Assistance, a national nonprofit organization that engages, assists, and empowers men and women in the military, law enforcement, fire and rescue, and emergency medical service professions to go beyond the call of duty by offering them opportunities to volunteer in their communities. Thousands of movie lovers have seen the acclaimed films Us, How to Train Your Dragon: The Hidden World, and Captain Marvel in recent weeks. In May the Los Angeles Master Chorale gives fans the chance to hear them, performing music by composers Michael Abels, John Powell, and Pinar Toprak in a concert celebrating film scores and opera ensemble writing called "Great Opera & Film Choruses" at Walt Disney Concert Hall. There will be two performances: Saturday, May 4 at 2 PM and Sunday, May 5 at 7 PM with many of the Los Angeles-based film composers expected to be in attendance. Concert tickets are available by phone 213-972-7282, online at lamasterchorale.org, or in-person at the Dorothy Chandler Pavilion Box Office, Los Angeles, CA, Monday - Saturday, 10 AM - 6 PM. The Harry T. Burleigh Society and Urban Playground Chamber Orchestra explore Burleigh's symphonic influence in "From Song Came Symphony." May 8 at Schomburg Center for Research in Black Culture. Wednesday, May 8 concert, 7:30 p.m.
"From Song Came Symphony: Harry T. Burleigh's Influence on Symphonic Music"
How to assess your audio system’s full AC power line requirements, and how to determine whether your AC power line capacity is sufficient. It’s important to confirm that you have an adequate AC current reserve to optimally power your audio system. This means more than just being confident that you can push the volume up without causing a circuit breaker to trip. The function of a circuit breaker relates to safety—not line quality or line stability. To assure that your AC supply is not plagued by load-induced voltage drops it’s desirable to verify that your audio system presents a drain that’s within the traditional guideline for power line current density. The conventional “good design” limits for this are as described here: http://www.powerstream.com/Wire_Size.htm. You can generally determine your household’s wiring gauge by inspecting your circuit breaker. The current practice is to use AWG 14 Romex for a 15 ampere circuit, and AWG 12 Romex for a 20 ampere circuit. Because 20 ampere circuits are habitually routed only to kitchen, bath, and laundry areas, it’s likely that your listening room utilizes 15 amp circuits, hence AWG 14 wiring. By reference to the above, you can see that the classic (it’s ultra-conservative) design guide for AWG 14 wire is 5.9 amperes maximum. If it’s your intent to dedicate that specific circuit exclusively to audio system use, then 5.9 amps max. current drain should be your goal. If you exceed 5.9 amps you will potentially risk “modulating the line”, meaning you could induce brief AC line voltage fluctuations due to the inevitable load changes that your power amplifier imposes as its output shifts. Regardless, I feel that some 50% more current drain is both safe and acceptable if it truly reflects operation at full power output (with no other loads on same circuit). That makes 9 amperes my personal full power ceiling for AWG 14 in-wall wiring with 15 ampere AC circuit breakers. To calculate your system’s maximum AC current drain, sum the net power (as stated in Watts*) consumed by your components, and divide the total by 120 Vac. That result will approximate the maximum AC operating current. 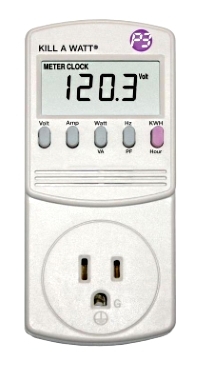 Component power consumption is generally listed in the related performance specifications. Take care to assure that power drain listed for your main amplifier(s) refers to power consumed when operating at full power output into the applicable load impedance. Better yet, directly measure the net current drain for yourself. Use a Kill-A-Watt P4400 meter; refer: https://shop.p3international.com/p/kill-a-watt. A NOTE: You can buy top quality molded SJT-type power cords, AWG 14, 16, or 18, custom made to any length, at http://www.stayonline.com/molded-cord-configurator.aspx. The price for a custom SJT power cord is low when compared to the price for a high-end “audiophile-market” power cord, but it’s functionally identical, and it will be properly sized, without unwanted excess. *Watts apply when considering most audio equipment, but not for AC motors, and not for Class D power amplifiers. (Most self-powered subwoofers use Class D power amps.) Use the Kill-A-Watt P4400 meter to measure the current drain or VA (Volt-Ampere) consumption of turntable/tape motors and Class D amps. A space opera based on John Milton's epic sc-fi adventure, "Paradise Mislaid." Twenty-First Century Vixen Home Entertainment HAL2001. It was inevitable, I suppose, that a member of the highly prodigious and exceptionally prolific Mozert family of musical geniuses would eventually make his way to Tinseltown. Then, several years later, he would arrive in Hollywood, and the rest would be history. This was, of course, Stanley Alfred Akira Orson Ingmar Federico Francis Mozert, Jr. (1823-1947), the celebrated operatic filmmaker who invented sci-fi, love beads, and singing. 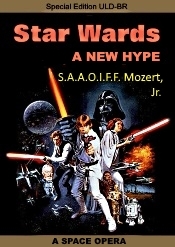 Mozert started it all with his space opera "Star Wards - A New Hype" in 1922, and everybody has been waiting in line for its long-overdue release on Blur-ray longer than Christmas. Now, it's finally here in high deaf, episode twenty-three in the celebrated romantic horror-comedy fantasy, docudrama-opera saga that has shaken, if not to say stirred, the Western World. And a few pocketbooks, too. It couldn't have arrived on Ultra-Lofty Definition (ULD) Blur-ray at a better time. Mozert's opera was directed on film by Georges Méliès ("A Trip to the Orchestra Pit"), produced by Stephan Spiegelburg ("E.T. The Extra Tenor"), and adapted for the screen by Roger Corperson ("The Beast with a Million Songs"), Petar Jacksson ("Sing Song"), Dino Martin Scoresese ("Boxcar Ballads"), and Francesco A. Capella ("A Pox on Your Lips Now"). It's a prodigious effort by a prodigious team of prodigious (and prolific) filmmakers. "Star Wards - A New Hype," as you all remember from your Opera Film Study classes, is the story of a waif, Lucas Moneymaker (Narc Hemphill, countertenor), who saves a home for retired movie stars that is far, far away and a heck of a long time ago, like before you were even born, even. Well, maybe not that long. With the help of his faithful companions--the haughty Hand SoLow (Harrison Fairlaine, baritone), the dauntless Princess Pixar (Carrie Mebacktu Olevirginny, mezzanine-soprano), the wise guru Olden-One Nairobi (Guinness Stout, "It's in the book! "), his comic sidekick ChewTobacco (Bert Skoal), and his mascots See-3-PO'D (Tom Hunks) and How-D-Do-D (Denny DaVeto)--Moneymaker rescues untold numbers of old folks from the diabolical clutches of their evil Overlord, Mala Vista (Robert Igor), his adopted son, Asta La Vista (the Honorable Arnold), and Vista's former henchmen, the brothers Mirra and Max (Darth Harvey and Darth Wienstine, bassi profundi), Dark Overseers of the Cinematheque. A cameo appearance by young soprano Sterling Christensen as the cuddly Judo Master, Yogi Teddybeara, completes the cast. George Burns dubs the singing parts. Marcel Marceau handles the voices. Fans of the complete saga will welcome this first-ever segment in its first-ever ULD Blur-ray edition (after six laser-disc versions, eight DVD incarnations, ten VHS and Beta tape renderings, and 800 semiannual theatrical rereleases since its première in 1913). Fans will also be pleased to note that this episode contains only a single example of the director's prized CGI creations that were so liberally appended to the saga's later remasterings. Indeed, the viewer may find the quaintness of this early movie's live actors a refreshing change of pace from the computer-generated animations so familiar to us today. Unfortunately, the live performers are unable to replicate the myriad visual nuances and facial expressions of their computer counterparts, but it's all part of the fun of this ancient, campy, live-action technology. 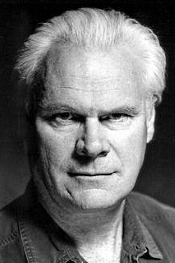 Mr. Christensen remains the lone CGI-animated character in the film. Based in part on the myth "The Hero of a Thousand Voices" by the late, great, celebrated PBS talk-show host J.R.R. "Soupy" Campbell and in part on the classic Samurai farce "The Hidden Fat in Chow Yun" by Acura Kurosodoff, "Star Wards - A New Hype" is THE seminal operatic work in early Hollywood's burgeoning retirement-home opera genre. Grounded in strong metaphysical convictions, deep existential philosophy, uncompromising ethical values, and women in flimsy white negligees, the movie is destined to stand the test of time, at least until the next installment comes out in two weeks. For this Super-Deluxe, Extra-Elite, 97th Anniversary, Special Edition Blur-ray boxed set, the folks at Twenty-First Century Vixen Home Entertainment have transferred the film, all fourteen minutes of it, to three quad-layer Blur-ray discs, front and back, for optimum AV playback quality. And, of course, the THD-certified ULD-BR audiovisual format preserves the movie's original theatrical-exhibition size, a 360:1 anorexic-ratio, TechnoRabid SwaddleScreen-80 presentation. The filmmakers realize that this format could present some small problem to those viewers whose home theaters are not equipped to do it justice, but by utilizing as simple an array as sixteen 90" curved-screen ULHD televisions in a circular pattern around the viewing area, the film can still provide a fascinating, if somewhat limited, visual experience. Textures are lifelike; flesh tones, particularly light greys and whites, are extraordinarily natural; and the panoramic scenery is, well, panoramic. The sound reproduction is sound, offered up in the director's preferred configuration, lossless Dolby Digits TrueTH Atmospheric LucasEar 60.8 AX AuralSurround-500. Listeners with fewer than the optimal ten speakers per bank--ten front, twelve back, twenty sides, thirty ceiling, and forty-seven floor, with eight 36" subwoofers--will still get a kick out of the all-enveloping nature of the audio playback. Even as few as 43.6 speakers are adequate for the job, so almost anyone can enjoy the beauty of LucasEar's phenomenal monaural soundtrack. Highly recommended, especially if you don't like your neighbors. Discs one, two, and three in this ten-disc Blur-ray set are devoted, as mentioned above, to the movie itself, with six separate audio commentaries to enjoy. The first commentary, as expected, is with the director, cast, crew, and stars. The second commentary is with the stars, cast, director, and crew. The third is with everybody already cited plus the guy who cleans up after the lights go out. The fourth is with the best boy. The fifth is with the best boy's best girl. And the sixth is with the gaffer, a compilation of his very best gaffes. Spoken languages come in Danish, French, German, Spanish, Portuguese, Russian, Lappish, Korean, Chinese, Japanese, Canadian, Texan, Stallonean, Nabuccon, Freishhok, Bombastic, and Toolouyie; with subtitles in Pitouy, Zha*#/-^sh, Orwellian Doublespeak, and Portlandian Redneck. For an additional charge, you can order English. Scene selections are on the light side, however, at two, including one for the closing credits. It's a small price to pay for perfection. Discs four through ten contain the major bonus items, including documentaries, featurettes, poster galleries, interactive recipes, interviews, e-mails, private telephone conversations, Easter eggs, duck eggs, Fabergé eggs, scrambled eggs, National Be-Kind-To-Your-Ferret-Day eggs, and plenty of commas. Then there are behind-the-scenes photos of really old retired people (some as old as their fifties and sixties); and other stuff you'll never look at again. Here, too, you'll find various theatrical trailers and tractors for "Star Wards" prequels, sequels, continuations, and spin-offs, including teasers for the new Ultra-Deluxe, Extra-Elite, Further Anniversary, Special Edition Blur-rays of the movie, plus all the other films in the series that are coming out next month with even more extras than this one. "Buy now, buy later" is the industry motto. The present discs conclude with promos for various "Star Wards" paraphernalia, including video games, board games, card games, dice games, dart games, graphic novels, comic books, cartoon strips, action figures, thumb screws, razor blades, maps, hats, masks, gloves, ears, noses, eyebrows, laser guns, power drills, jackhammers, ball-peen hammers, and other merchandise the studio hopes to con you into buying before they're through. Also included: "The Mozert Family Tree," suitable for framing, mounting, or planting. You, too, can grow little Mozerts in your garden. Who knows? Maybe someday one of them will write a sequel. Finally, tucked away neatly in a back pocket of the beautifully illustrated metal-foil slipcase is a full-scale, foldout cardboard replica of Hand SoLow's lighter-than-air jet aircraft, the Millennium Buzzard. Fully expanded, the airplane measures some 300 feet, nose to tail, with functional cockpit and cargo bays. A word of caution about this item, however. It is designed as a simulation only and will not actually fly. Early reports have indicated that some beta testers apparently attempted to launch their vehicles from garage roofs with less than satisfactory results. The studio warns that such misuse of the product may be hazardous to the model and its occupants and could do irreparable damage to both. This is a full-size likeness only, kids, and should be treated as such. For safety's sake, if you have a 300-foot dresser in your bedroom, that's where you should properly display your Buzzard. In addition to this latest complete edition of the initial chapter in the "Star Wards" saga, the marketing directors at Twenty-First Century Vixen are making available for the first time a special five-shelf Blur-ray disc bookcase to house the over 1800 re-releases so far in the series. As this bookcase will only accommodate Blur-ray discs, however, the studio advises buyers to hang on to their old bookcases to store any BDs, DVDs, videotapes, and laser discs already obtained. Do not, however, attempt to mix or match Blur-ray discs, BDs, DVDs, tapes, and LDs as the formats are not compatible and serious damage could result. "Star Wards - A New Hype: Part XXXV1, A Space Opera" on Blur-ray may be purchased individually for $59.95 or in a complete box set of all seventy-two episodes (so far) for a MSRP of $6,876.40. Nevertheless, a perusal of the Dark Matter Web reveals several outlets discounting the price considerably, with several on-line stores offering the entire box for $9.95. A shipping and handling fee of $6,866.45 should not deter the dedicated buyer in search of a bargain. Concluding its 2018-19 Faculty and Guest Artist Series, the Music Institute of Chicago showcases the talented students of its Academy Orchestra performing with the Bach Week Festival Orchestra and piano soloist Sergei Babayan Sunday, April 28 at 3 p.m. at Nichols Concert Hall, 1490 Chicago Ave., Evanston, Illinois. This is the second time the two institutions have collaborated, having previously presented Babayan in a solo recital in 2013. 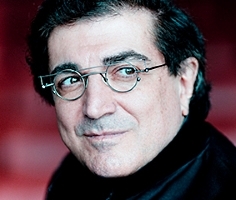 Sergei Babayan, hailed for his emotional intensity, bold energy, and remarkable levels of color, brings a deep understanding and insight to a stylistically diverse repertoire. Le Figaro has praised his "unequaled touch, perfectly harmonious phrasing and breathtaking virtuosity." He performs with the world's leading orchestras, including the London Symphony, Cleveland Orchestra, Orchestra of the Marinsky Theatre, Warsaw Philharmonic, the New World Symphony, and many others. Admission is $50 for VIP seating, $40 for adults, $25 for senior citizens, and $15 for students. Tickets are available by calling 800.838.3006 or at musicinst.org/faculty-guest-artist-series. Acclaimed conductor JoAnn Falletta was named Performance Today's 2019 Classical Woman of the Year. The award, which was given for the first time, honors the women who have made a lasting impact on classical music or those who love music. "JoAnn Falletta is a mighty figure on the global music scene. She brings a bright freshness to classical standards, and her vision includes and elevates so many worthy composers and artists who've been too long overlooked," said Fred Child, host of Performance Today. "She is a tireless champion of the art form itself, not just on the podium, but in ways that are not always visible or public; our listeners' nominating stories about her included myriad examples of Falletta's unique combination of artistic authority and compassion, compelling musicianship and humanity. It is an honor for us to name her as Performance Today's 2019 Classical Woman of the Year." Thursday, April 18, 2019, 8:00 p.m.
David T. Little grapples with essential human issues through powerfully dramatic compositions. This Portrait features two major works—companion pieces presented together for the first time--that explore the tension between the individual, secrecy, and state violence. Haunt of Last Nightfall, a visceral "ghost play in two acts" for percussion quartet and electronics, examines America's role in the 1981 massacre at El Mozote. AGENCY, for string quartet and electronics, questions individual autonomy, whether we are subject to unknown and powerful social and political forces. Together, they offer a disquieting account of our place in contemporary society. ROCO Announces Its Fifteenth Season: "Coming of Age"
ROCO (River Oaks Chamber Orchestra, Houston, Texas) is thrilled to announce its 2019-20 season, entitled "Coming of Age." To celebrate their milestone fifteenth season, ROCO will present a record-breaking 21 new commissions, bringing their total to a whopping 100 distinct premieres since their formation in 2005. Throughout the season, 15 of these new works--comprising the FIFteen project: Fanfares, Interludes, and Finales, organized by Mark Buller--will be sprinkled among each series. Grammy-nominated composer, performer, and music educator of depth and versatility Clarice Assad returns for an evening of musical delight. Ever since her sensational SOLI (SOLI Chamber Ensemble) debut in 2016, we have been eagerly crafting another collaboration together to include concerts in San Antonio, followed by a National Tour with the program, and a recording project to memorialize her unique and genre-bending music. Princeton University Concerts' new "Crossroads" series, drawing together musicians and music from around the globe, culminates on Tuesday, April 16, 2019 at 7:30PM with a joint performance by mandolin star Avi Avital and acclaimed jazz performer and composer Omer Avital: "Avital Meets Avital." While the two musicians are not related and come from differing musical backgrounds, they share a cultural heritage through which they come together in this program, alongside Yonathan Avishai on piano and Itamar Doari on percussion. In addition to their concert, Avi and Omer Avital will also participate in a free public conversation with Princeton University Professor Moulie Vidas at the Princeton Public Library the preceding evening on Monday, April 15, 2019 at 7PM. The young Danish trio Dreamers' Circus--led by violinist Rune Tonsgaard Sørensen of the Danish String Quartet--is a new driving force in Nordic world music. Contemporary and innovative in their approach, they draw inspiration from the deep traditions of Scandinavian Folk music. The ensemble has won five prestigious Danish Music Awards and toured throughout Europe and beyond, with performances in Japan and Australia. The trio collaborates regularly with the Danish String Quartet and the Copenhagen Philharmonic. This NYC debut is part of their first American tour. The band states, "Our approach to music sees us challenge the norms of the traditional music we were brought up with and attempt to shape it into how we imagine Nordic music can sound in 2019." An all-orchestral program May 9 and an organ recital by Ken Cowan May 18 at Saint Thomas Church Fifth Avenue at West 53rd Street, NYC. Concerts at Saint Thomas will wrap up its 2018-19 season with Benjamin Sheen and New York Baroque Incorporated performing a program of chamber music entitled "Now Is The Month of Maying" on May 9 at 6:00 pm. The performance will be a celebration of the Martha J. Dodge Continuo Organ and a new harpsichord recently purchased from Willard Martin, both of which will be played by Benjamin Sheen. The program for the concert will weave Vivaldi's 'La Primavera' from The Four Seasons with two concerti by Handel and Bach, along with Albinoni's beloved Adagio for organ and strings. The season's final performance will take place on May 18 at 3:00 pm with one final Grand Organ Series performance from Ken Cowan on the Miller-Scott Organ. The program will include pieces from Wagner, Dupré, Bach, Saint-Saëns, and Duruflé. This event is free and open to the public. The Salt Bay Chamberfest (SBC) has spent 25 years nestled along coastal Maine near Damariscotta's Great Salt Bay. Visitors spend their days taking walks along jetties to historic lighthouses and trails overlooking blueberry bogs, wandering along the dramatic shore where tidal pools hold secret worlds, or taking in Greek Revival and Italianate architecture. But what has recently brought people to Salt Bay in early August is this world-class Festival. Each season Artistic and Executive Director, and cellist, Wilhelmina Smith takes audiences on a journey through a season of concerts which delve in to larger ideas, often connecting the music to historical, political, or even deeper social ideas. To celebrate 25, Smith has curated a season called "Music of Our Common Earth" which runs August 1-17, and features works connecting us globally through music as it relates to our environment, and studies human nature or uses it as metaphor, explores ancient myths, uncovers current societal issues, and celebrates our shared landscape. SBC's rich history of presenting and commissioning new music continues with some of today's most exciting musical innovators and the performers that inspired them. Most of the concerts are picturesquely set in the historic 19th-century dairy barn turned concert hall, Darrows Barn, overlooking the scenic Great Salt Bay. March 29 was World Piano Day and who better to celebrate it than global superstar pianist Lang Lang. He's already inspired millions of children to play the piano through his performances, method books, recordings and educational programs--and now he's releasing his new album "Piano Book," a collection of pieces he has loved and played from a young age. The repertoire reflects Lang Lang's commitment to music education and his desire to encourage young people to learn the instrument. In that vein, the Lang Lang Foundation also announced their donation of $5MM to U.S. Public Schools over the next 5 years to continue Lang Lang's commitment to music education. This means in five years, the Lang Lang Foundation will be supporting and working with over 140 public schools across the US, reaching over 56,000 students. In more piano news, last week at Steinway Hall in NYC, Lang Lang and his friend bandleader/pianist Jon Batiste got together to do what they love--play piano. Watch these two superstars at the top of their game in classical and jazz have fun with "Chopsticks": https://youtu.be/8SdZINPY4ew. It has been a whirlwind few weeks for Lang Lang: he's joined Chinese virtual idol Luo Tianyi for a special hologram concert, he's enjoyed international chart success with Beethoven's Für Elise having reached No.4 on the official Chinese pop single charts, and he's even set a new Guinness World Record for the biggest simultaneous four-handed piano performance. Lang Lang's record-breaking performance took place in his native China, where 777 pianos were packed into the Xiamen Center Sports Stadium and 1554 pianists gathered together to play Schubert's Marche Militaire No.1. The project recruited 777 pairs of 'piano messengers' from schools in five major regions of China, including children from Taiwan. Lang Lang took the helm for the awe-inspiring display, showcasing his gifts as charismatic performer, communicator and educator, as well as his fun-loving personality.